Rory Stewart was excellent, last night at the Edinburgh Book Festival. He hasn’t actually published a book recently, and explained in the first ten minutes why this was the case (he hasn’t yet completed The Marches). He is the MP for Penrith and The Border, he went to school at Eton, studied at Balliol College, Oxford, and was recently appointed Parliamentary Under Secretary of State at the Department for Environment, Food & Rural Affairs. He is a very refreshing speaker, about various topics, including his walk through Afghanistan, work in Iraq and current affairs. The audience was very impressed with the way he answered questions. Even the subject of the Highland Clearances cropped up briefly, once, in an answer relating to why farmers in his constituency are finding it difficult to survive at the present. Well, as you can imagine, he started by saying that he had never been asked this question before, and then continued with a fairly lengthy answer. This included a reference to Canmore, the website with 1.3 million catalogue entries for archaeological sites, buildings, industry and maritime heritage across Scotland, and also included information about his childhood home and bits of Scottish history. It got a big round of applause from the crowd. I don’t think that there are many politicians who could talk so enthusiastically and educationally about themselves and the soil! He seems like a highly intelligent and inspirational chap. 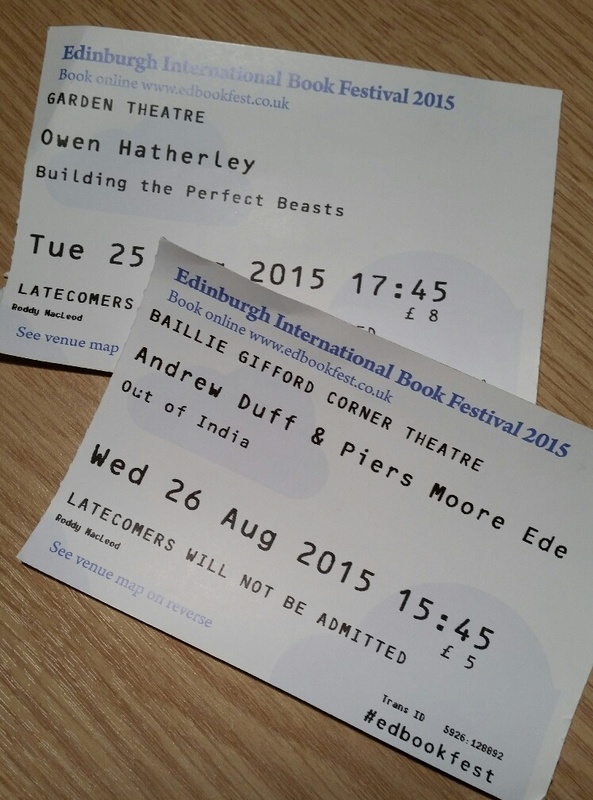 Today was the best day, for me, so far in the Edinburgh Book Festival. Yesterday I went to see Owen Hatherley give a talk about ‘Building the Perfect Beasts’, in support of his book, Landscapes of Communism. I felt that I didn’t have enough background knowledge of the topic to really appreciate all of what he was saying. He made several points. One, I think, was that whilst we all have images of dreadful, impersonal tower blocks housing hundreds of workers in the cities of Communist Eastern Europe, and these of course do exist in abundance on the outskirts of many centres there, such developments were not built during Stalin’s time, but mostly much later, and in fact smaller but similar concrete hulks were constructed in the west at about the same time. Some of Stalin’s buildings were actually quite grand, and partially based on American skyscrapers of the 1920s (though no-one could admit this fact at the time). Another point was how many of the centres of cities in Eastern Europe were preserved during the Communist era. This is why, nowadays, tourists and others can enjoy the architectural pleasures of Prague, Tallinn, Vilnius and elsewhere. This afternoon I went to a double show. Andrew Duff and Piers Moore Ede talked at a presentation entitled Out of India. Piers is virtually a dead ringer for Fat Mac about thirty years ago, before he went to seed. I’m almost convinced that Piers did ten seconds of ‘ra bliss’ when he came on stage and sat down, before he began his talk about Varanasi (also known as Benares), where many people are cremated and their ashes thrown in the holy Ganges. Piers spent a year there, living in a very small concrete cell, surrounded by death and ghats, gurus and pollution. He went down well with the audience at the Book Festival, one of whom, during the question time at the end of the presentation, remarked upon how peaceful he seemed within himself. The audience also lapped up Andrew Duff when he spoke, and showed a couple of short movie clips, about Sikkim and his book, Sikkim: Requiem for a Himalayan Kingdom. Well, I read about this book last week in the August 2015 edition of Literary Review, and I’m hooked! It has all the necessary ingredients – a handsome widowed crown prince (Thondup Namgyal) meets and then marries a beautiful starry-eyed American nineteen-year-old girl called Hope Cooke, at a splendid wedding where Thondup’s gorgeous sisters Kula and Coocoola almost steal the show, and later he fights for his inheritance against the diminutive anti-monarchist Kazi Dorji and his venomous Scottish wife, the Kazini of Chakung – and it is all fact, not fiction, and also from our own time. I’ve ordered a copy of the book. At the end of the presentation, one of the questions from the audience was from a woman who had trekked in Sikkim in 1952. 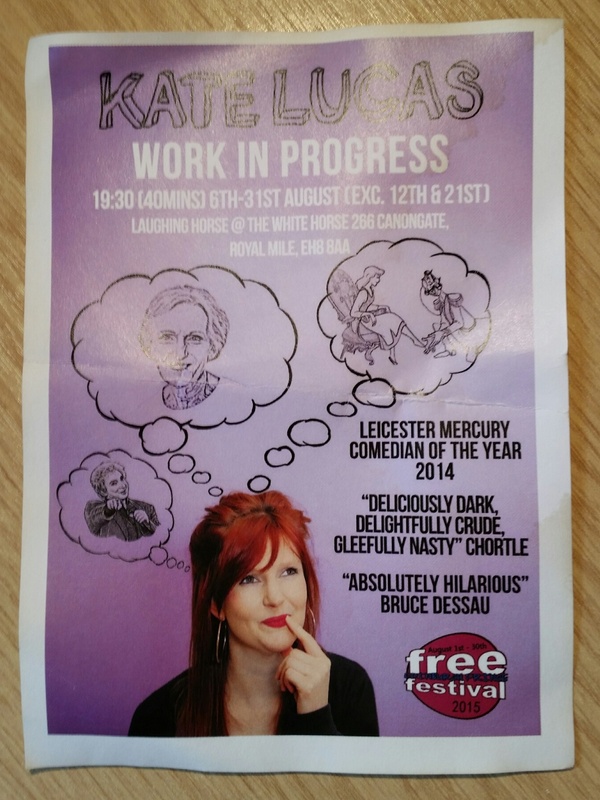 Kate Lucas, singer and humorist, is playing at the White Horse in the Canongate each evening at 19:30 until 31st August, as part of the Free Edinburgh Fringe Festival. Very unusual, but entertaining performance, which had us laughing a lot on Saturday evening. Our road was swarming with white vans yesterday morning. Only one of them, concerning refitting the blinds in Jamie’s bedroom, was to do with our house. 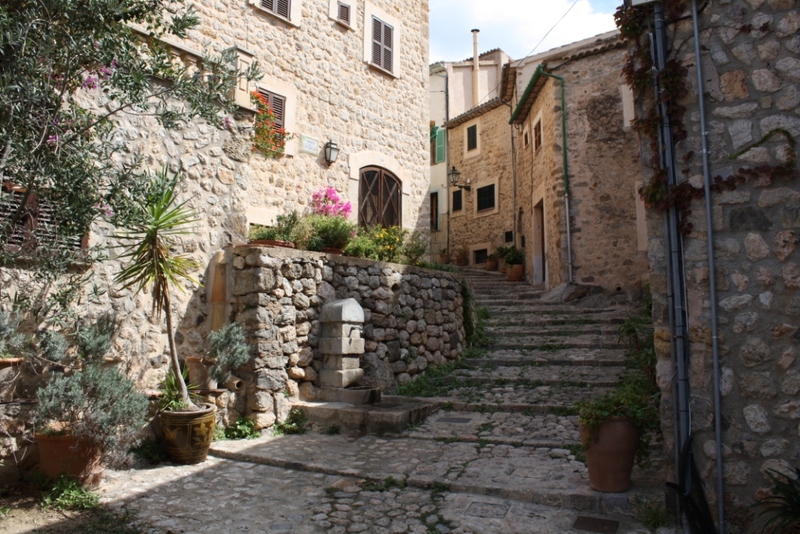 Other houses were getting their roofs fixed or plumbing sorted. There seemed to be a great deal of activity going on. The other day I went to see Jenny Uglow at the book festival. Scottish Life during Napoleon’s Wars was the title of her talk. During the wars in question, there was both enthusiasm in Scotland for the fight, shown by the fact that many Scottish soldiers faught in the Peninsular War, and protest against later continuations and the press gangs. A number of Scots were sent to Botany Bay for coming out in support for the French revolutionaries. Many Scots were in demand abroad, especially in Eastern Europe, shortly after the wars, for their expertise in farming and other matters. I also went to see Prof Philip T. Hoffman talk about Why Some Nations Need Power. He looked at the expansion of control by European powers to most parts of the world in the last thousand years, and asked why the same thing had not happened with places, such as China, that were actually more advanced than Europe a thousand years ago. Several factors were important – read his book to find out which ones. Having survived, virtually unscathed, last weekend’s visit from our drinking buddies from Oxford – fortunately the attempt at a late-night Brian ‘n Bongos sesssion was thwarted by Shaun who would not tell me where the bongos in question were hidden [good thinking, Shaun: “Mum & Dad have gone out to a party with a free bar – better hide the bongos”]; and, obviously, we can’t use that same taxi company for a while – I felt strong enough the other day to take up Fat Mac on his offer of going to a few shows in the Fringe. Of course, we didn’t get to a single show, but neither did we get, as Lindsey was half expecting, rat-arsed. Mac and I sat in St Andrew Square for an hour, drinking a coffee whilst amazing ourselves at how busy Edinburgh was this time of year and collecting flyers for potential shows from the student distributors, and then Mac announced that he was in extreme pain from his latest disease – sinusitis. I know from the experience of others how debilitating sinusitis can be, so it was with some sympathy that I accompanied Mac back to his flat where he proceeded to swallow a whole packet of painkillers and then squirt a £6 bottle of medicinal seawater up his nose. After his pills kicked in, there was little difference in sitting there listening to Mac rant on and on about anticapitalistism, how Corbyn would be the saviour of the proletariat, and how the SNP will nationalise the Internet, except that when he does this after drinking 10 pints of Guinness he drools from the mouth whilst ranting, whereas on this occasion most of the bodily fluids were issuing from his nose. After two pots of tea and a failed attempt to watch, through Mac’s grimy kitchen window, the batsman playing on the adjacent Grange cricket pitch scoring a century, I made my excuses and left Mac with the remainder of his second box of kleenex. The way to enjoy and remember any show in the various Edinburgh festivals is probably to not meet Fat Mac beforehand. This is what I did today, when I went to see Ferdinand Mount talk about ‘Epic History of the British in India’. I wrote briefly about Mount’s recently published book in a post on this blog in May. Today, he was very entertaining and the event was a sellout. 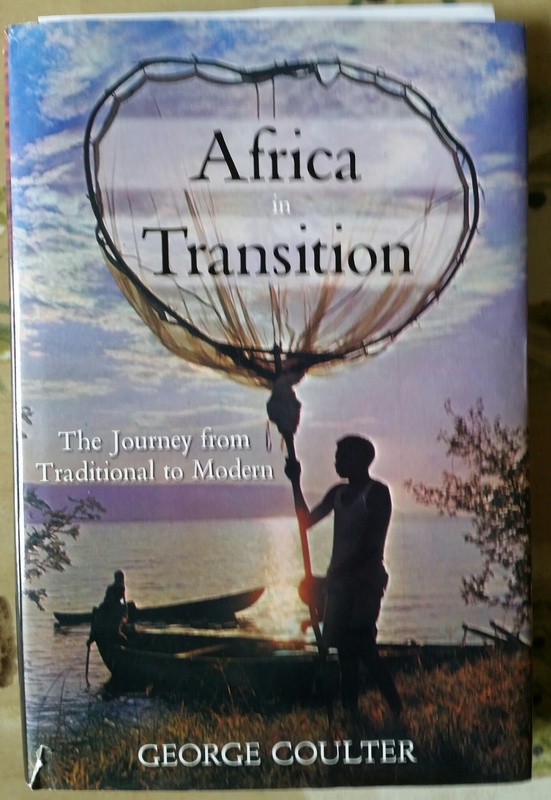 I’ve very much enjoyed reading Africa in Transition, published in 2011 by George Coulter. Coulter was a fish biologist who worked in various African countries from the 1950s to the 1990s. That might not sound particularly interesting, but this is not a detailed exposition about fishing, instead it’s a relatively easy to read analysis of the process of aid development, alongside a personal travel story plus some more general African history – and it makes for a fascinating book. Also, the chap can write. The day had started fine, but later cumulus began building and towered up until the entire sky was heavily clouded and rain was imminent. We decided to pull in for the night, and went through the motions of stowing gear and starting to prepare food. But I wanted to watch awhile. There was very little sign of life, even frogs seemed hesitant to begin their serinade – perhaps sudden darkening had taken them by surprise. Soon the first heavy drops turned into a chill deluge driven by fierce wind. One would have been soaked outside our boat roof, instantly. Soon the storm eased and moved on, but another was approaching. The Swamps took on a look of extreme desolation and menace. The reeds looked disordered and crushed by the downpour, while a few erect stands of papyrus were threshing in gusts of wind. You can easily imagine the setting from that description. The fish interest details would have been covered in Coulter’s PhD Thesis, “Hydrobiological processes and the deep-water fish community in Lake Tanganyika”, 1966 leaving Africa in Transition to be a much easier to read and enjoyable book. Coulter doesn’t so much juggle with the three or so concepts mentioned above (development, travel, history) as throw them up in the air in the first two parts of the book, and then in Chapter 13, the third part, they bounce back together as he looks at change in human circumstances and welfare in Africa during the post-independence era, and in particular the social and economic evolution of ‘traditional’ communities to ‘modern’ lifestyles (it is he who puts those two words in quotations). 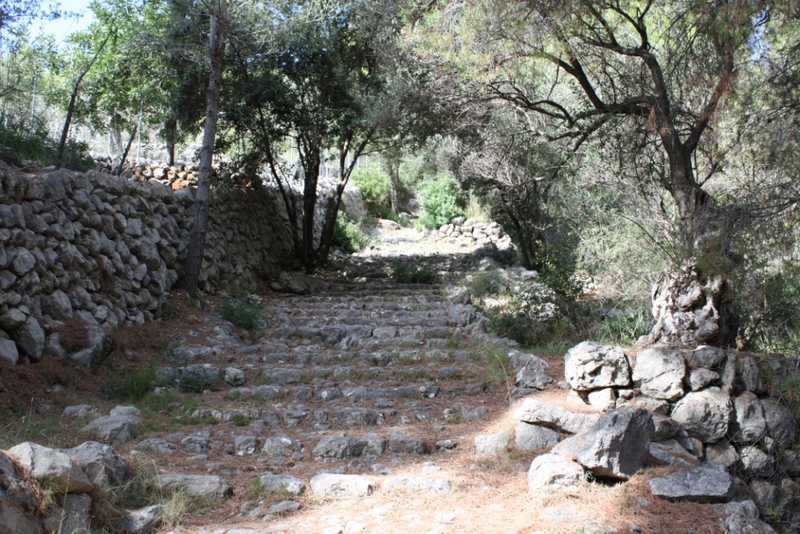 I find this very intersting, as the same theme, to some extent, appears in variouus places in my blog, even including my posts on the Highland and Lowland Clearances. In 1984, Lindsey and I once waited at Khondowe two days for a bus (there was hardly any petrol in the country that month, and almost all transport, apart from party cars, had ceased). In the local cafe/bar we got talking to a very old, blind man who had been taught by Dr Robert Laws, in the early years of the century. I was most taken with the fact that we were sort of reaching back into history. Coulter does much better than this. He is able to write, “In 1960 I met a man who remembered David Livingstone.” Wow! 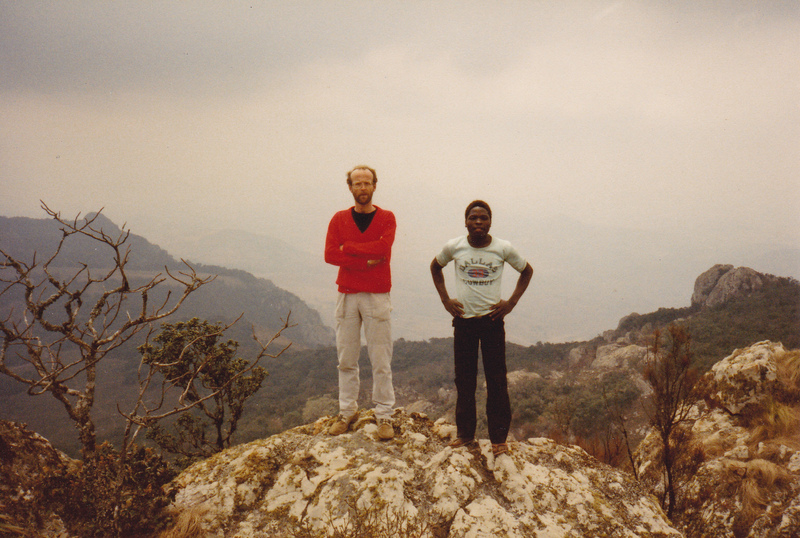 Lindsey and I once drove our motorbike from Zomba to Dedza, in 1984. We noticed as we got closer to Dedza the fact that on one side of the road, which marked the border with Mozambique, there was nothing at all except bush. On the other side were huddles of refugees from the Renamo/Frelimo conflict, selling their vegetables which presumably had been carried over the border from hidden gardens. When Coulter was in the same area ten years later in 1994, he describes a very similar situation (page 208). Coulter worked for a while in Ghana, where he found that the socialist drive under Nkrumah to industrialise and raise standards of living ironically had the effect of encouraging petty capitalism and permitting corruption. 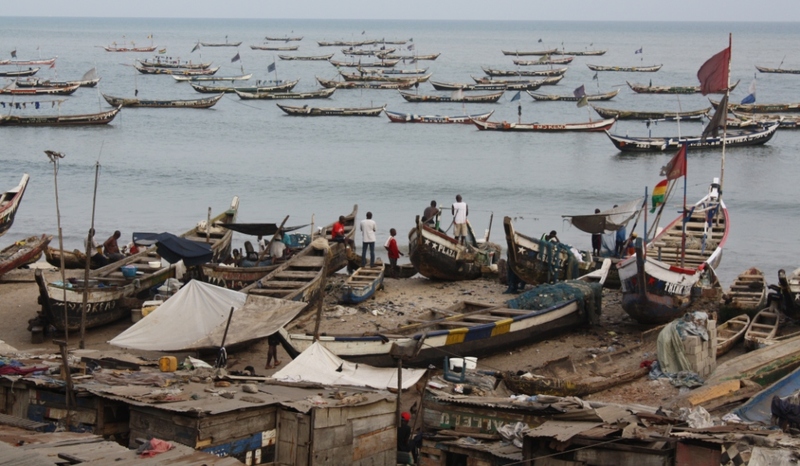 He watched as the traditional Fante fishing communities, based on lineage and kinship, with gender duality and a spirit of welfare for local communities, evolved through the introduction of ‘modern’ fishing systems emphasising technology, the involvement of capital and individualisation. 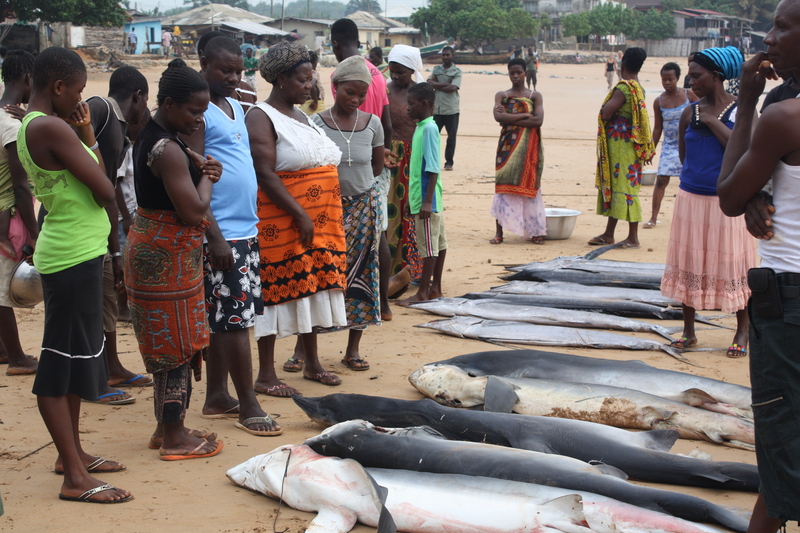 Ghana beach fish market, 2015. I noticed that it was the women who bought the fish, for resale elsewhere in the village or for transportation on to a town. He cannot resist a few descriptions of those white people he has come across or lived amongst, not farmers or those making a living from the land, but rather ex-officials, scientists and a few other types, who ‘stayed on’ after independence and became, to some extent, stranded. Coulter lived through the massacre of Hutus by Tutsis in Burundi, in 1972. This episode received very little coverage in the UK media at the time. It is not to be confused with the massacre of Tutsi people by Hutus in Rwanda in 1994, which was, belatedly, covered in the press. Coulter did not know whether to resign from his research post in protest, or continue with his work. He stayed, but when he tried to continue his work with the Hutu fishermen he found that many of them had disappeared. 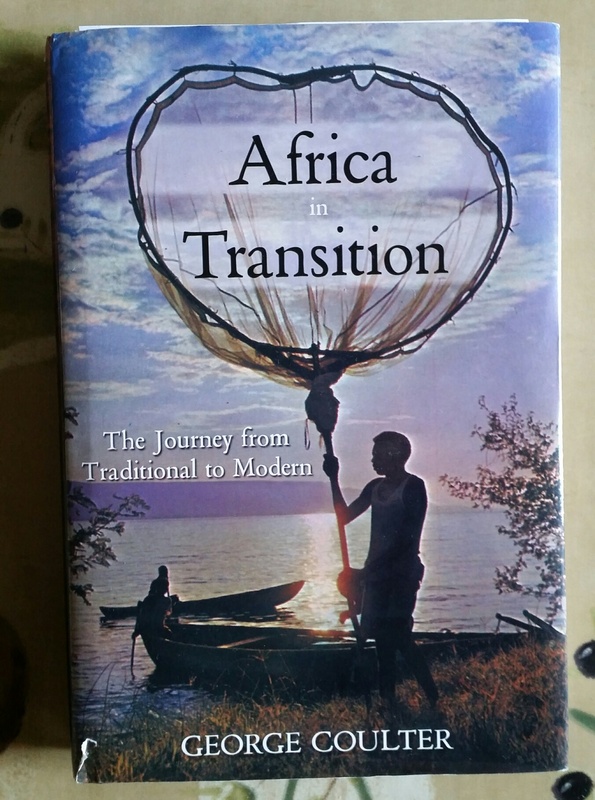 Africa in Transition is absolutely fascinating. I will leave it for son Jamie to read, as he knows from first hand a bit about the economics of development in Africa, and he may continue to be involved in this sort of work in the future. It’s now more than five years since I retired. My, how time flies! This post may turn out to meander a bit. I want to deal with two things – fear, and loathing, in retirement. I think that many people probably have certain fears about retirement. I reckon that one fear may often concern money, and another may concern time. There’s a very good article, 3 Retirement Fears to Conquer, that mentions these two things plus the fear of losing your identity. Let’s deal with the money part first. When you retire, you almost certainly take a drop in income – I was no different in this respect. It took me quite some time to figure out what I would need to change, in terms of outgoings, in order to keep within my pension income. On the other hand, there are now no deductions from my income for National Insurance, or pension, and I pay less tax on less income. I no longer need to pay £30 or so per week to get to work, and I don’t have the expense of canteen lunches or buying clothes for work. I have more time to select produce in supermarkets, and can often save quite a bit in this way. Heating the house actually costs less than before, because we draught proofed it – a good investment. My income nowadays is less than the national average wage for someone in work, but it goes further. On a couple of occasions over the last five years I’ve undertaken some paid work, and this has helped offset the cost of holidays. It is quite difficult to judge how to balance income and outgoings, especially in the first year of retirement. There are annual payments, such as for house insurance, that you’ve probably forgotten about, and then a bill arrives. After the first year, it gets easier because you know most of what is coming up. I thought – well, I could give it a try, what with so much cricket being televised, nowadays. But I never really intended to watch cricket 24/7. Being retired has meant that I’ve been able to watch a lot more cricket than was possible when I worked, and that has been very enjoyable. 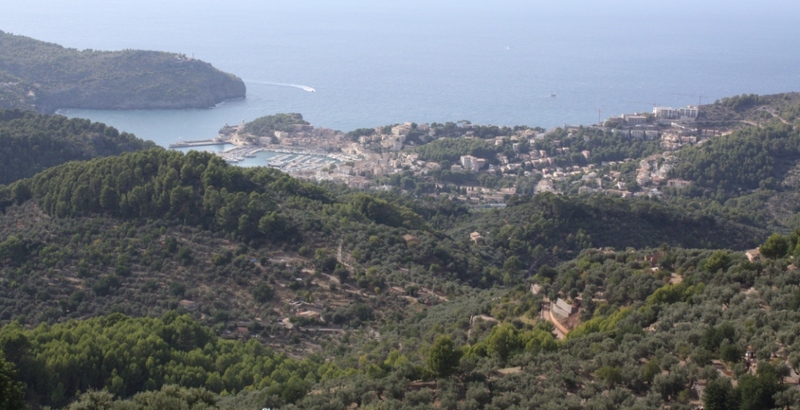 I’ve also had time to pursue various interests, some of which have been detailed in this blog, but overall I’ve been keen not to swap being too busy at work with being too busy in retirement. I never intended to fill up every moment of retirement, and I’ve been successful in this. I simply go with the flow much more, nowadays. OK, on a slow day, when there’s not much happening, I’ve no doubt on occasion been bored for a while in retirement. But I was also occasionally bored at work as well, when some or other repetitive task took longer than expected. I’ve been OK with all of that. In retirement I’ve been able to read a bit more than in the past, and I’ve posted reviews of many of these books, but in fact you don’t jump out of bed saying to yourself, “Yes! I’ll read a book today.” Well, I don’t. I read a bit more than before, and I’m gradually getting through my backfile, but of course I keep noticing new books I’d like to read. There are many maintenance things I’ve managed to do throughout the house, but some things are still pending. You never get to the end of the list. The first course I attended at university was architecture. I think that I’m reasonably creative, I’ve always had an interest in buildings and their design, and I liked the idea of a career involved in creating spaces for work and leisure. It turned out that the course I attended was much more about the engineering aspects of architecture rather than the people side of it, and I hated studying, for example, the technology of bricks and stresses and strains in structures. So I dropped out, took a year and a half to do other things, and then went back to university to study history. I loved history, was awed by academia and impressed with the intellects of many of the lecturers, and enjoyed the process of finding out about the past. I used libraries extensively during the course, and so it was only a small step once I’d graduated to get a temporary job in a library. After that, it was a year in library school and then a permanent job in a university library. Many years later, when I worked in the University of Botswana Library – and you have to remember that this was pre-Internet – I remember thinking one day, “This is great! This is a really well-stocked and well-managed library. With an excellent reference collection at hand, I can either answer just about any question anyone poses, or can point them in the right direction where they can find out more.” So, I was happy with many aspects of the career choice. My time in Botswana lasted two years. In the library that I spent most of my working life, however, both pre and post Botswana, and also pre and post two years working in Malawi, some things were good, in fact occasionally very good, but some other things were not so good at all. I now realise that it took two or three years of retirement to get rid of the loathing and frustrations caused by the things that were not so good. More than a year into retirement and I’d read something in CILIP Update, or see something on a library listserv, that would trigger feelings of anger about my past working life. Those feelings had been the result of working with a boss for many years, probably twenty or so, who I (and many others, I hasten to add) considered an inept manager, and also with a deputy boss who, though very clever, happened to be the most negative and down person I’ve ever had the misfortune to come across. He spread gloom wherever he went. We’ve all probably had bad bosses. I’ve had good, and bad, in numerous jobs over the years. But experiencing twenty years of ineffectiveness allied to relentless negativity, in my case caused a legacy that even lasted well into retirement. Universities have complex management structures, and so what of my boss’ bosses? Didn’t they have any concerns about the library? Very few of them seemed to visit, or use, the library. I think you have to actually use a library to find out what works there, and what doesn’t. My goodness, it was different in Botswana. There, the Vice Chancellor at the time used the library several times a week, for some research he was conducting. He was very aware of things, and I remember one time when the librarian came up to me and said, “The V-C mentioned to me that the newspapers on level four are looking untidy. Can you do something about that, please?” It wasn’t meant as a question, either! Well, immediately we all set to work, and a few hours later everything was spick and span once more. That librarian was such a good boss, though, and she didn’t leave it at that. “Do you need anything to improve the display of newspapers?” she enquired a couple of weeks later. “New stands, shelves, or anything else?” That sort of thing makes a big difference. Back in the UK, I once had a chance to influence a newly appointed Principal. Such chances happened rarely because, as I’ve said, we hardly ever saw the top people. This new Principal had decided to find out more about the library, and had set aside an afternoon and asked my boss to hold a seminar on whatever he thought the Principal should know about the library. What an opportunity! I volunteered to give a five minute presentation about the various projects that we were involved with at the time. Someone else was asked to talk about the collections, and there was to be a third presentation about processes. Or something similar to that, anyway. I was really pleased with the draft presentation and looking forward to demonstrating to the new main man what some of us were doing and what we were hoping for in the future. Then, a few days before the Principal’s visit, my boss called me in and without warning said he wanted me to talk about ‘Y’ rather than about projects. I can’t even remember what ‘Y’ was, anymore, but I knew very little about it and it didn’t seem relevant to either the library or what I thought the Principal would be interested in. In the event, the Principal changed the date of his visit, and I was already committed to a meeting in London the day of the eventual visit, so I didn’t give my presentation. Afterwards, I asked one of the other assistant librarians how the Principal’s visit had gone. “I think he was asleep through most of it, or at least – he had his eyes closed a lot of the time”. We did, to some extent. I and the other middle management library staff often visited lecturers, researchers and the occasional prof, to tell them about various resources, to encourage their involvement in the library, to find out what their needs were in terms of information, and so on. This is normal for liaison librarians. We also hoped that some of them would push for better funding for the library, and where relevant we encouraged that sort of activity. But it wasn’t our role to go barging into the Principal’s office, and we rarely met with other administrators. We were also deemed too lowly to be invited to Library Committee meetings. One result of many years of poor management was that, when a national survey of all UK university libraries was published, our library appeared bottom in all but two of the charts. The two in question included cost of library staff per student, and spend on periodicals per researcher. For all other lists, there we were at the bottom, and in the case of book spend per student, we were bottom by some distance. In the case of cost of library staff per student, it is better to be near the bottom than near the top, and in other cases, nearer the top. This survey was a dire statement of the state of our library. When the survey was eventually discussed at a library staff meeting, I remember the boss saying nothing and then, when I offered the opinion that something really should be done, the deputy shrugged his shoulders, and sighed, “Ah well – our university gets the library it pays for.” I couldn’t believe it! That survey should have galvanised the library managers and motivate them, and the rest of us, to do something about the situation. Instead, nothing at all happened. I reckon it wasn’t in the librarian’s interest to attract attention to the charts because it would have reflected badly on him. Better for him to just drop the whole matter. Later, when I happened to see an expense claim that had been left on the photocopying machine for £180 for a taxi to take the boss to Glasgow airport for one of his many foreign trips, I realised where the priorities really lay. Struth! I could have ordered six engineering books for the library with that amount. It isn’t the purpose of this post to drag up old instances of poor management, even though there were SO many of them and you would find some of them very amusing in a rather sad sort of way, because that would be to resurface the bile that caused the loathing. And as I said earlier, the loathing is now gone. But I hope that you can realise how demoralising it was to work in such an environment for so many years. The library itself functioned reasonably well on a day-to-day basic level, despite poor management, mainly because the junior and middle management staff were so dedicated to their work. I eventually gave up on trying to improve the situation in the library, because my efforts had no effect, and instead I concentrated on those things I could personally influence, such as the external project work through which I was 50% funded. Several of those projects did well, though we sometimes didn’t manage to achieve all of the objectives. After a number of years, when funding for such projects dried up, I didn’t want to go back to working full time in the poorly managed library where there was so little encouragement and the boss seemed more interested in collecting air miles for himself than in improving the library, so it was a no-brainer for me to seek early retirement when the opportunity arose. Is there anything to be learnt from any of this? Well, firstly, when you retire, it can take quite some time to get to grips with the change in your financial situation. Secondly, don’t worry about time – it will take care of itself, and it goes much faster than you’d think. It can also take time to get rid of various emotions caused by years of employment. When you walk out of the door for the last time, you don’t necessarily leave everything behind. But the baggage does eventually disappear.